Approximately 5.7 million people took a river cruise in the past three years, a number that has more than doubled since 2009, according to data from Cruise Lines International Association. The overall appeal remains the same – the lazy pleasure of putting yourself completely in the hands of someone who will coddle you while steering you through new adventures. But river cruising is no longer a passive or unrefined experience. River cruise lines are developing programs that will encourage passengers to engage more fully, and more actively with the ports they visit. 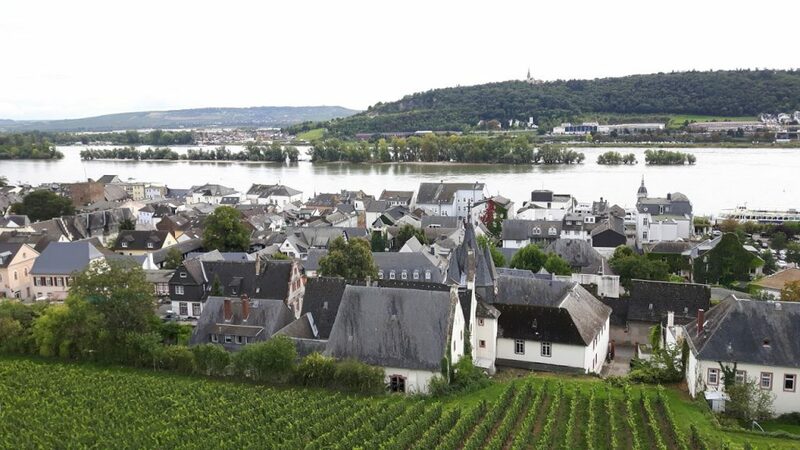 Avalon Waterways is in the lead with their Active Discovery shore excursions, a multi-faceted program which is being introduced on its European itineraries. On a cruise from Amsterdam to Frankfurt, on Avalon’s new Expression, I had the opportunity to sample the innovative in-depth experiential activities, designed for the passenger who is relatively active and seeks a more dynamic immersion in the cultures of the places visited. My first adventure was a food focused walking tour of the Joordan neighborhood in Amsterdam. The day was chilly, it rained intermittently, but the places we visited made up for the weather. A cozy local cheese shop gave us the chance to try several of the traditional Dutch cheeses, and a visit to an artisaninal chocolate shop was a sweet treat. 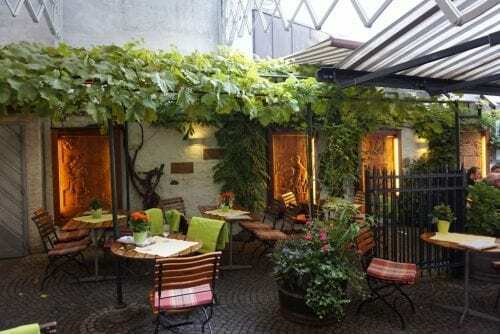 There was tea in a small Dutch hotel, the chance to try ‘olie bollen’, a delicious doughnut-like dessert in a small cafe, and the questionable delights of raw herring. They are eaten by holding the fish by its tail, dipping it in onions and letting the raw fish slide into your mouth. Amsterdammers love it – I’m not a fan! But the little shop was cool, the neighborhood was full of character and the raw fish thing is one of those indigenous experiences you should try at least once. While in Amsterdam, we also had the opportunity to connect with our inner Van Gogh through a painting class. 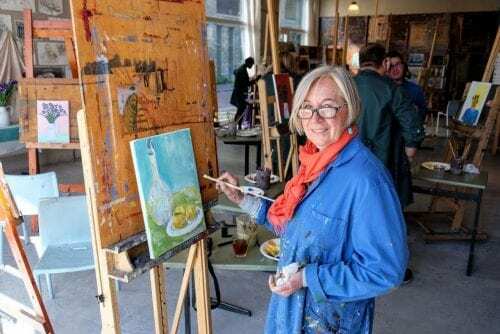 Our experience levels ranged from ‘complete amateur’ to ‘pretty accomplished’, but everyone enjoyed the short class, and the chance to paint a still life to take home as a memory. We did a walking tour of the trendy Belgian Quarter of Cologne, Germany, an area of the city that most river cruise visitors seldom visit. It was a chance to see beyond the glorious cathedral that dominates the city, and to explore a difference face of Cologne. 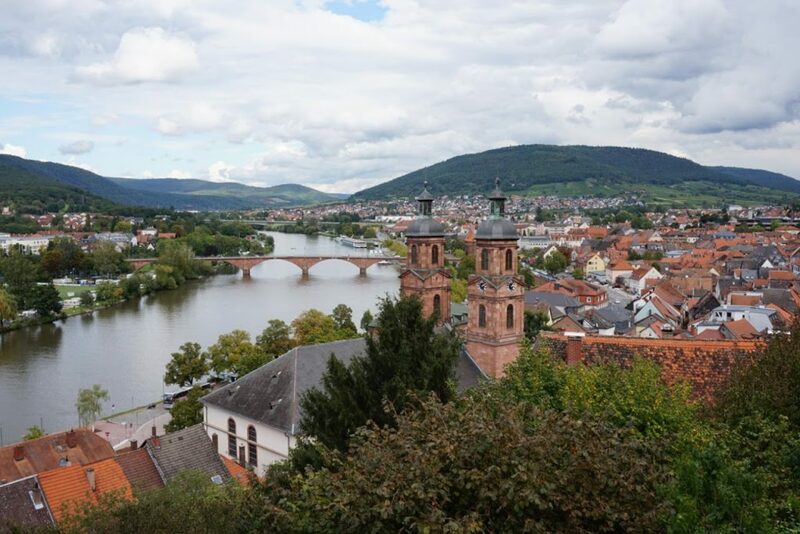 There was a bike tour of Bamberg, Germany and a hike through wine country, that was highlighted by tastings in the vineyard and a meeting with the winemaker.. Our Active Discovery group climbed up to castles that towered above the river and were rewarded with spectacular views of the surrounding valleys. To further support active engagement with the ports, Avalon’s new AvalonGo app allows passengers to independently explore each destination with a detailed, daily schedule of their itinerary, a list of nearby attractions (featuring hours of operation, historical facts and more), maps and directions as well as local cafés, restaurants, bars and entertainment options for further exploration. “We’ll even provide a picnic,” says Stephanie Bishop, of Avalon’s Canadian office. Travelers can also expect longer and more overnight stays in ports. This will allow passengers, particularly younger cruisers, to explore the local music scene or partake of the nightlife on their own schedule. It’s part of a move to attract a fresh demographic as brands reach out to the next generation.? Avalon’s port excursions deliver individual experiences, and provide an option for the cruising population who loves to be moving and busy and learning new things. The continued refinement of that multi-layered approach is where the future lies.